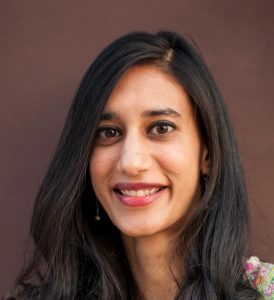 Fatima Quraishi specializes in the arts and material culture of the Islamic world, with a particular interest in the visual culture of Muslim communities in South Asia. Her research examines the intersection of regional artistic styles with locally embedded practices and considers the role played by religion and religious communities in shaping artistic production. Quraishi curated the exhibition, “Paradise on Earth: Manuscripts, Miniatures, and Mendicants from Kashmir,” at the Mohatta Palace Museum in Karachi in 2017. She previously held teaching positions at the Indus Valley School of Art and Architecture and at the Shaheed Zulfiqar Ali Bhutto Institute of Science and Technology, both in Karachi, Pakistan. Her current research project, Necropolis as Palimpsest: the Cemetery of Makli in Sindh, Pakistan, takes a longue durée approach to analyse this vast necropolis in the context of socio-political transformation over three centuries, in Central and South Asia, engaging with architecture as an archive of this changing cultural landscape. Islamic Art and Architecture, Indo-Islamic Architecture, Devotional Practices and Material Culture, Transregional and Transcultural Histories, Historiography of Islamic Architecture in South Asia. “This is Makkah for Me! Devotion in Architecture at the Makli Necropolis,” in Saintly Spheres & Islamic Landscapes: Emplacements of Spiritual Power across Time and Place (Leiden: Brill, forthcoming). “Elements of the Mosque: Form and Adornment,” co-written with Matthew D. Saba, in Mosques: Splendors of Islam (New York: Rizzoli, 2017), 22-41.